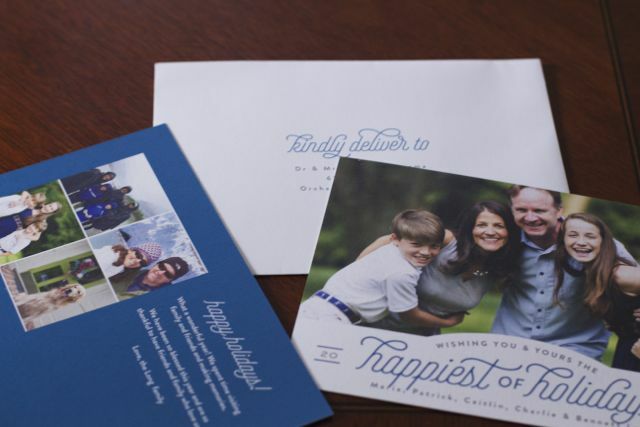 Thanks to the folks from Minted.com for allowing me to create these amazing Christmas Photo Cards and share my opinion with my readers. All the opinions are 100% my own. When I had one child, I made my own Christmas Photo Cards. 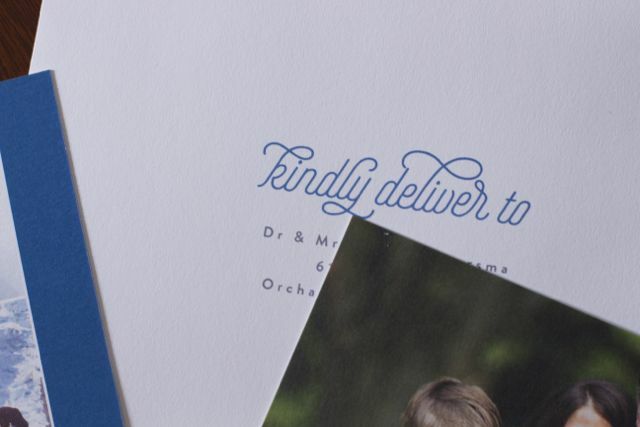 Now with three children and amazing stationery sites like Minted.com, everything is created online. This year we had a head start on our holiday card since we had a family photo session this summer. Isn’t it nice to have the photo ready to go. 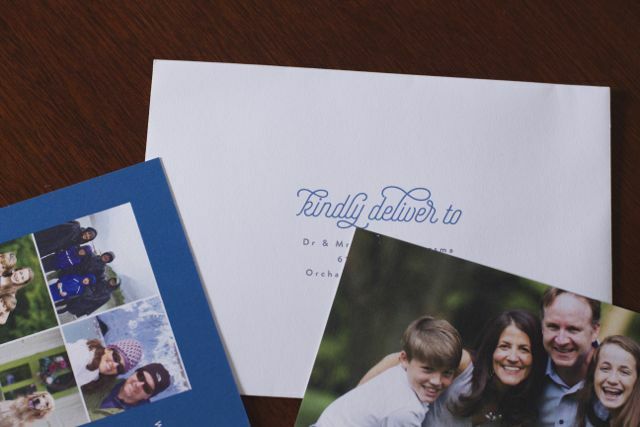 This is the first time ordering photo cards from Minted.com but have loved all their other stationery products so I knew I would be pleased. Ordering the cards was seamless. Actually it was amazing to download your photo once, and then see all the card choices on one screen. You don’t have to go back to the design page and then reload your photo. This makes card selection so much simpler. When you see a design you like you can favorite it and then compare them next to each other. You can also send your design to someone to get their opinion. This feature was priceless since I have a traveling husband and I could get his opinion hundreds of miles away. So half the battle of choosing the cards is done. The second battle is addressing all the cards. In the past I have printed labels. 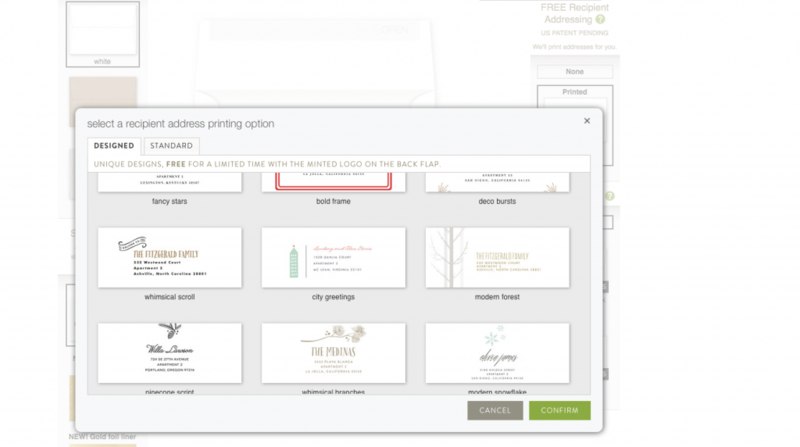 Minted.com is offering free address labeling. This is a huge time saver. For those of you that have your addresses on a spreadsheet you can simply download that to the site. I ordered more cards than I had addresses so I could have some blank cards as well. Look at all the fun address choices that will really dress up your holiday cards. For an additional cost, you can add more text and/or a photo to the back of the photo card. Since I wanted more of a collage picture in the back, I created a collage on a photo site like Picmonkey.com and then downloaded that to minted.com. A great way to add more family photos. 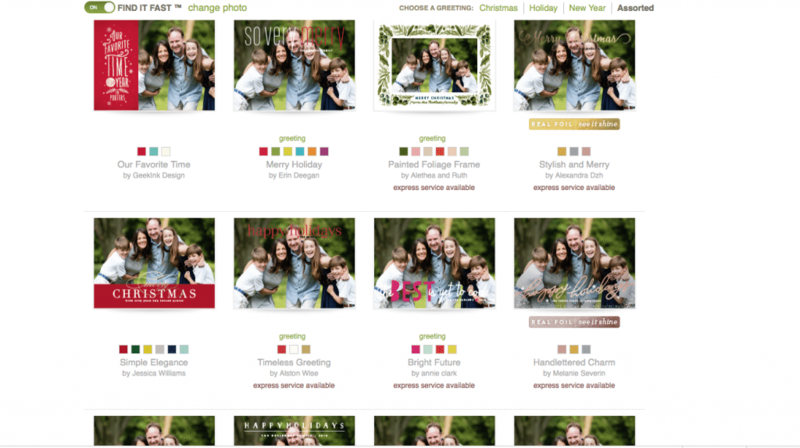 Minted.com has a wonderful selection of holiday photo cards and have promotions going on all the time. Like all their stationery products, these holiday cards made with high quality paper. Can’t wait to see what design you choose for your family christmas card this year.